Engraving of the chapter house at Cockersand Abbey. (Wikipedia). OS Grid Reference: SD 42703 53764. The scant and windswept ruins of Cockersand Abbey, or priory, lie beside the Lancashire Coastal Way on the Moss about 2 miles west of Thurnham and 2½ miles northwest of Cockerham on the Lancaster Road (A588). It is 9 miles south of Lancaster, 3 miles northeast of Pilling, and overlooks Morecambe Bay. Today only the 13th century chapter-house remains intact, whereas the rest of the abbey is now all but a few low walls and earth-works next to the adjacent Abbey farm, which might have some of the stonework of the religious building? Cockersand Abbey started its life as ‘the hospital of St Mary’ for lepers – having been established by Hugh (Garth) the Hermit around 1180. It became a priory in 1190 and, in 1192 the Norman baron Theobald Walter, turned it into an abbey for Premonstratensian canons, whose mother-house was Croxton Abbey, Leicestershire. Cockersand was dissolved in 1539. 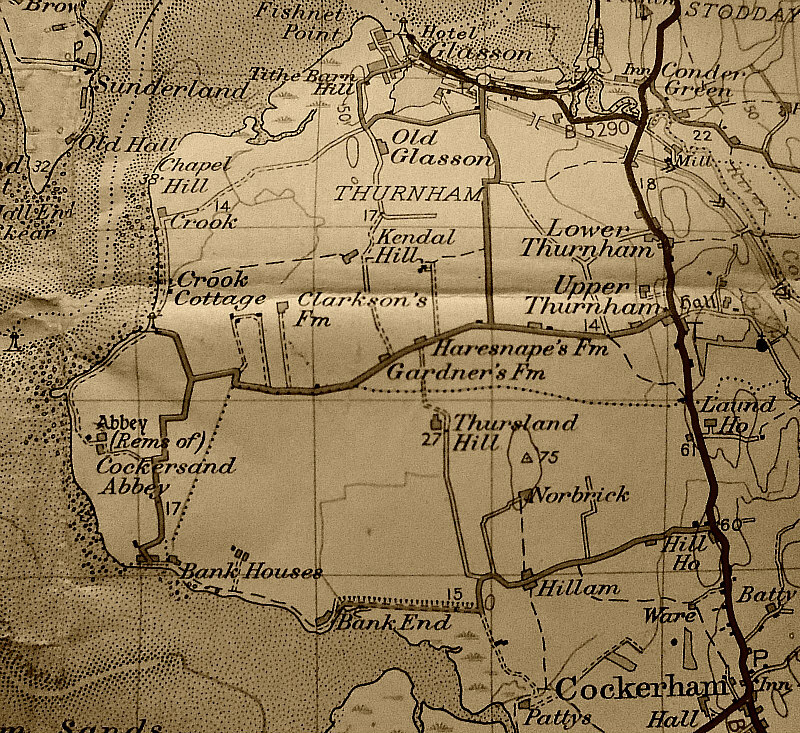 To reach the site head west out of Thurnham for about 2 miles, passing Haresnape farm. At a junction of two lanes – head south along Moss Lane. After half a mile go west onto the coastal footpath to the abbey. You will see the chapter-house in front of you. You can also reach the site from Bank End Farm in the south, and from Glasson in the north on the coastal path southwards for 3 miles. 1954 1″ Ordnance Survey map of Preston (sheet 94) which shows Cockersand Abbey. The infirmary or ‘Hospital of St Mary of the Marsh’ for lepers at Cockersand grew in size under Hugh Garth and it received monies from Croxton Abbey, near Leicester. Hugh was very well-liked and respected by the local people and, because of this, many charitable gifts were given to the hospital, which for 10 years flourished. After the death of Hugh Garth in 1188 or 1189 white canons of the Premonstratensian Order from Croxton arrived in the area, and in a few years they built an abbey onto the hospital building as a cell of their mother-house. In 1230 they added a chapter-house. The abbey was said to have covered 1 acre of land, and to have become one of the three richest abbeys in Lancashire; the other two being Whalley and Furness. Then, in the 15th century the canons built what must have been the first lighthouse in the area to guide sea vessels away from dangerous mud and sand banks. The lighthouse would have been a stone tower with a beacon burning every night. We also know that the fishing rights on the River Lune between Glasson and Thurnham were owned by the canons of Cockersand Abbey, and they owned land at Pilling Hall, a few miles to the southwest, where there are the remains of Pilling’s first church, a medieval foundation served by the canons. Ruins at Cockersand Abbey by Bob Jenkins (Wikimedia Commons/ Geograph). However, the abbey’s good fortunes were not to last for in 1539 this religious building was destroyed by King Henry VIII’s soldiers, although the chapter-house was left intact as it was being used as a family mausoleum by the Dalton family of nearby Thurnham Hall. They had the building crenellated in the 19th century. The last Dalton to be buried there was Elizabeth in 1861. Following the dissolution the land was sold off to a local gentleman, John Kitchen (Kechyn) of Hatfield. The abbey’s 14th century choir stalls and Renassance chest were thought to have been taken to Lancaster Priory – though this would seem not to be the case. However the stonework from the abbey was used in the building of Crook farm and there may be some in the walls of the adjacent Abbey farm. There is, apparently, robbed-away stonework in the sea-wall defenses and some pieces of stonework have been found on the shoreline. The canons’ cemetery has long since gone, having been partly Lost to the sea due to the constant erosion; there is archaeological evidence that human bones from the abbey’s cemetery have been found in the sea-wall and also on the seashore. The chapter house is a Grade I listed building. 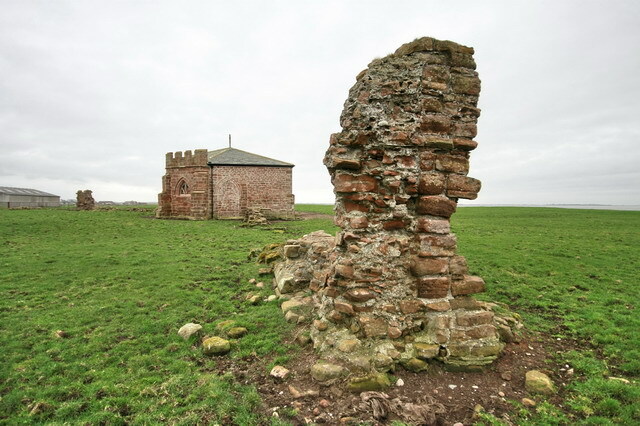 Richard Peace (1997), says of the place, that it is: “A bleak and forbidding spot on the Lancashire coast marks where a 12th century hermit founded a leper hospital. Originally the building stood on a island, surrounded by treacherous salt marshes. In 1190 Cockersand Abbey was founded on the same spot, its monks battling with high tides which washed away much of their work. By the 15th century it was one of the three richest abbeys in Lancashire. The surrounding marshland had been drained, a quay built, and the first lighthouse on this part of the coast may well have been in operation. Bottomley, Frank, The Abbey Explorer’s Guide, Kaye & Ward Ltd., (The Windmill Press), Kingswood, Tadworth, Surrey, 1981. Brodie, Ian & Krysia, The Lancashire Coastal Way And The Wyre Way, Lancashire County Books, Preston, 1993. Noble, A. J., (Contributed Article 19 ‘Cockersands Abbey Chapter House’), The North West Catholic History, (Ed: J. A. Hilton), Volume XXXVI (2009). Pevsner, Nikolaus, The Buildings of England — North Lancashire, (Reprint) Penguin Books Ltd., Harmondsworth, Middlesex, England, 1979. Thanks also to Jacqueline Senior for her input. 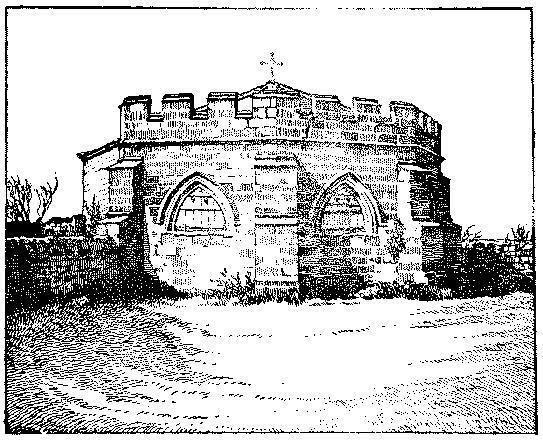 The engraving of the chapter house (top) is from ‘Cockersand Abbey’, A History of the County of Lancaster: Volume 8 (1914), pp. 105-06. URL: http://www.british-history.ac.uk/report.asp?compid=53276. Categories: Abbey or Priory | Tags: Cockersand Abbey near Thurnham in Lancashire | Permalink.